Microsoft has released an app for Windows Phone. 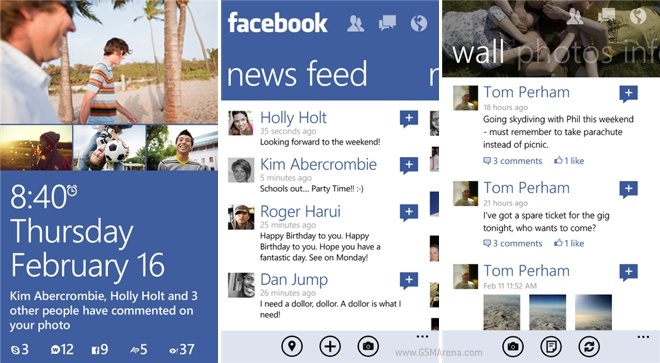 This app is not developed by Facebook like Android and iOS, but by Microsoft itself. Performance is major improvement in new release, as you open app, scroll page from start to end you will find it faster.It also include support for multiple resolutions possible on Windows Phone 8 and multiple tile sizes. This version is not available for other devices running older than Windows Phone 8.